Let’s assume your CrossFit gym already has an online presence; maybe it’s your website, blog or Facebook page. While each of these serves a purpose, using landing pages – the right way – can take your gym’s growth to the next level. Why? 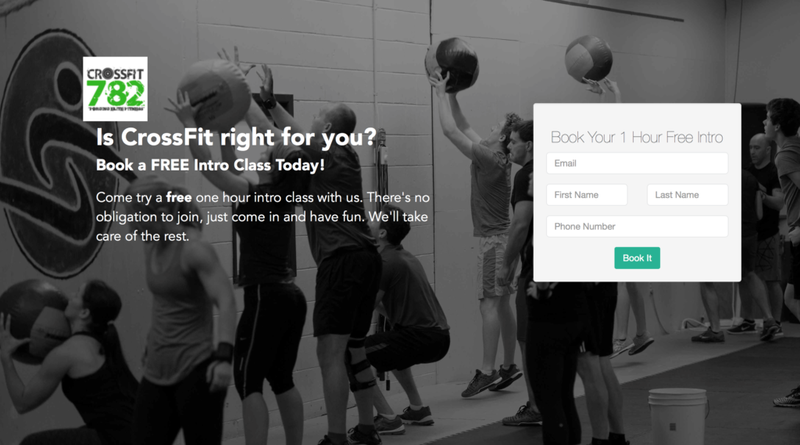 Because a landing page doesn’t just provide information about your gym, coaches or classes. It actively turns leads (those potentially interested in your gym) into paying members. In other words, a landing page acts as a simple sign-up page where leads can take a specific action and become part of your email community. Once someone is part of this community, you can start moving them toward the next stage in your funnel. In the example above, in less than five minutes you’ve just converted someone from a casual online passerby into a potential new member at your CrossFit gym. Considering how important a landing page can be in growing your membership, this is one part of your sales funnel you want to get right. And we’re here to help you do just that! The good news is that a landing page is far less complicated than a standard website. Below are some landing page best practices, with advice on how you can get a page (and your offer) online in no time. We’ve also included some landing page examples, so you can see how successful businesses are using them to share their offers and attract leads. Why create a landing page? When done right, your landing page will introduce prospective clients to a specific product or service, with the goal of converting these leads. Unlike your website, which provides a lot of information and menu options for visitors to click (and get distracted by), your landing page will offer a single page of targeted information. By asking visitors to take a single action (‘Sign Up’, ‘Try Now’), your landing page is designed for fast consumption and immediate decision making. This means you must think about the best way to get people engaged in just a few seconds. If a visitor doesn’t see what they expected to see, they will leave. The first and most important aspect of your landing page is deciding on a goal; that is, what do you want to happen once visitors start hitting your page? Do you want people to check out a free piece of content related to your gym? Or maybe you want visitors to sign up for their first class there and then. Think about your page as part of your larger marketing pipeline. If your goal is to get 10 new members, you might offer your target market a free Fundamentals class through a Facebook ad campaign. When potential members click the ad they are taken to your landing page and sign up using their email address. You then send these leads an email campaign that encourages them to come in for their first class and tells them more about your gym and coaches. In this way, you can think about your landing page as one of a few rungs in a ladder that leads upward toward membership at your gym. Those who show interest by ‘opting in’ on your page are ready for the net rung in the ladder, whatever you decide this will be. Take action: Write down a clear goal for your landing page, along with the follow-up actions you will take to convert leads into members. Once you have an idea of what your goal is and what you’ll be offering, it’s time to think about how you want your landing page to look. This is a fun step and, luckily, a simple design beats an overly showy one hands-down. Headline: Often the first thing visitors see, your headline represents your value proposition. Make it bold, stating a clear benefit to opting-in. Or address a pain point (“Not enough time to work out?”) and provide the solution (“Our 3-a-week program is the answer”). This great article from Copyblogger explains nine proven headline formulas. Body copy: Explaining your headline in more detail, the text on your landing page should be both clear and persuasive. This isn’t the place to show off an award or discuss the best way to do deadlifts. Get straight to the point, reinforcing the benefits of your offer and what leads will receive when they sign up. Call-to-action: Your CTA will take the form of an opt-in form and button, telling visitors in a few words what they should do to get your offer. Some popular examples are ‘Sign Up’, ‘Download Your Copy’ and ‘Start Your Free Trial’. The button is usually positioned beneath the opt-in form, which asks for an email address and any other information you want to collect (just remember not to ask for too much info at this stage!). Header image: Any imagery you use should reinforce a key benefit of your offer, otherwise it doesn’t really serve a purpose here. A good rule of thumb is to use only one strong image at the top of the page so you don’t take away from your copy and CTA. Read this detailed guide from kickofflabs on choosing the perfect background image. Social proof: The most common type of social proof is the customer testimonial. They are especially effective in the fitness space, convincing prospects of what they have to gain by joining your gym. Testimonials also work great on landing pages because they’re brief and to-the-point. Take Action: Sketch out a rough design for your landing page, including the five elements described above. You can always make changes as you go along. Subscribe to online software that lets you design a landing page using built-in templates. This option might be cheaper, and can be faster than designing a page from scratch. Our team personally likes Leadpages, as they offer a lot of templates and the pricing is competitive. With competition growing within the personalized fitness space, and with digital marketing increasingly becoming part of small business owners’ marketing mix, there’s no better time to make landing pages part of your pipeline. Start with one landing page and offer, note what works and build from there. The next step in your pipeline will be tracking leads and following up with custom email sequences that keep your new members coming back for more. Stay tuned for the next post in this gym marketing series to continue building your CrossFit gym’s pipeline. Want more free content PLUS community? 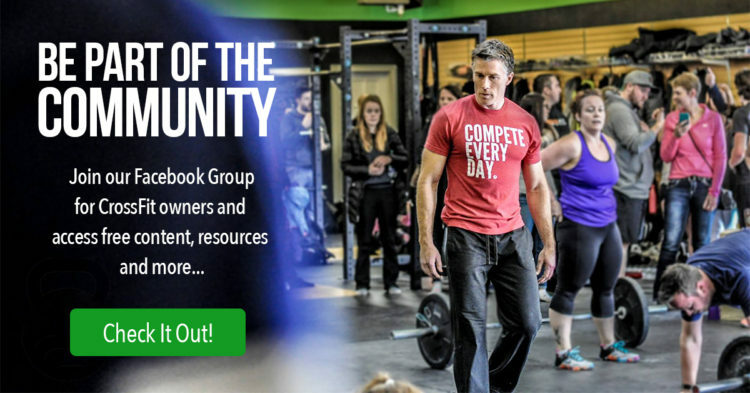 Join our Gym Marketing FB Group for content and discussions with other gym owners here.